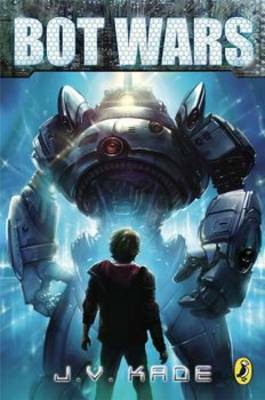 "Strong characterizations and nifty tech.... Kade's robots tread the fine line between the familiar and the alien... resulting in an entertaining reading experience." "Science fiction is an exciting genre to explore and this story is an excellent example. It has mystery, romance, complicated family relationships, and ethical themes to consider. Teen readers will appreciate the believable story as well as the fast paced action. Looking at the frightening cover of the book is enough for most readers to dive right into the story. They will not be disappointed." "Science-fiction fans will enjoy the action and subtle exploration of just what it means to be human."